As we get older we often think more and more about buying products that are going to be kind to our wonderful planet. When it comes to finding eco-friendly greener types of Scotch Tape, although they might not be front of shelf at your local hardware store, there are a few earth friendly tapes out there. Scotch Transparent Greener Tape – 65% of the manufacturing of this tape is from either plant, or recycled materials. And to top it off you only need to read reviews like this one to see that it is a quality product. Before purchasing I was concerned about it being as good as Scotch’s regular clear tape. But, I’m all for getting things that are green and help the Earth. I have definitely not been disappointed. 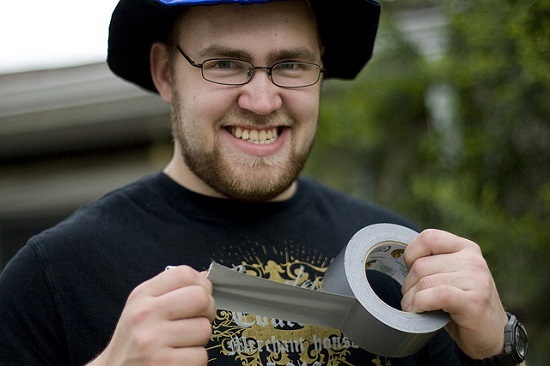 This tape is very strong and is very sticky. It’s actually a little bit harder to cut (across the cutter) than the regular clear tape but that is certainly not a ding against them. My biggest concern with tape is stickiness and this one has it. It does the job with flying colors and then gets bonus points for being green. Thank you Scotch!! We should all try to do what we can to help keep our planet healthy. Most products have green alternatives and although they may cost a bit more, it is worth it in the long run. If there are any other green tapes out there that you have used, or considered using, please let us know so we can share them with our site visitors. Previous Article Is Duct Tape Safe for use on Your Skin?